One of the things that I have found unique about Tokyo is how well the old/modern life styles compliment each other. 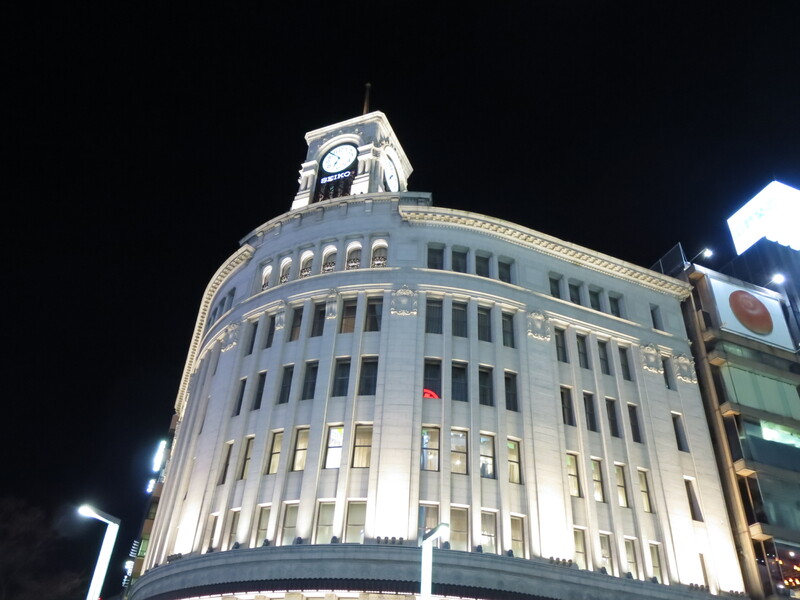 Ginza is definitely a prime example as to how well the old and the new works together. During my visit to the area, I was amazed with the futuristic feel of the area and the selection of stores. Despite its modern atmosphere, it was not difficult to find traditional goods in the area because some of the department stores had kimonos on one floor and the latest fashions on the other (Sadly, photography was prohibited). Aside from kimonos, another notable mention would be this stationary store called Ito-ya which has been around for over 100 years and you can find a variety of washi paper and Japanese calligraphy pens. 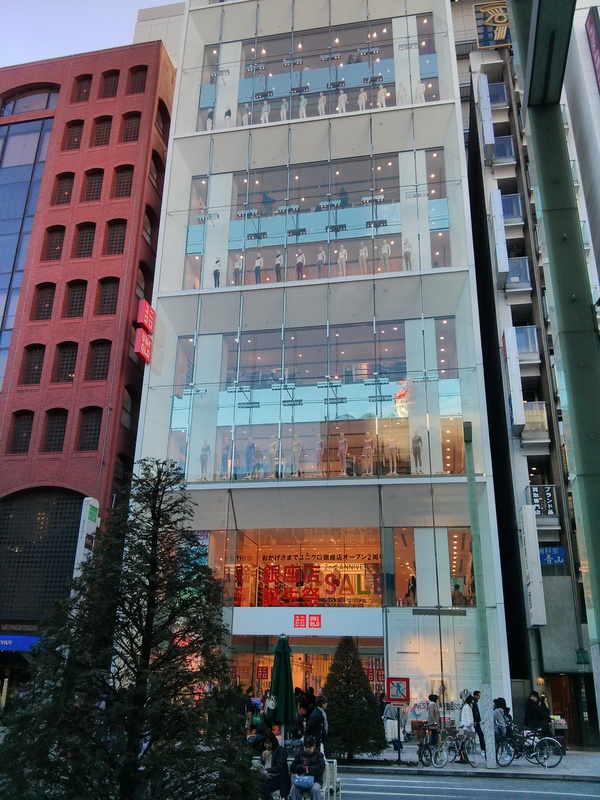 In addition to being known for an upscale shopping district, Ginza also has affordable brands such as Uniqlo available which is one of my favourite stores especially with the quality and the pricing. When I came across the 12 floor flagship store, I couldn’t resist and spent some quality time there. Regardless of whether you are a shopper or not, Ginza is definitely worth a stroll just to observe how the old/new co-exist side by side. 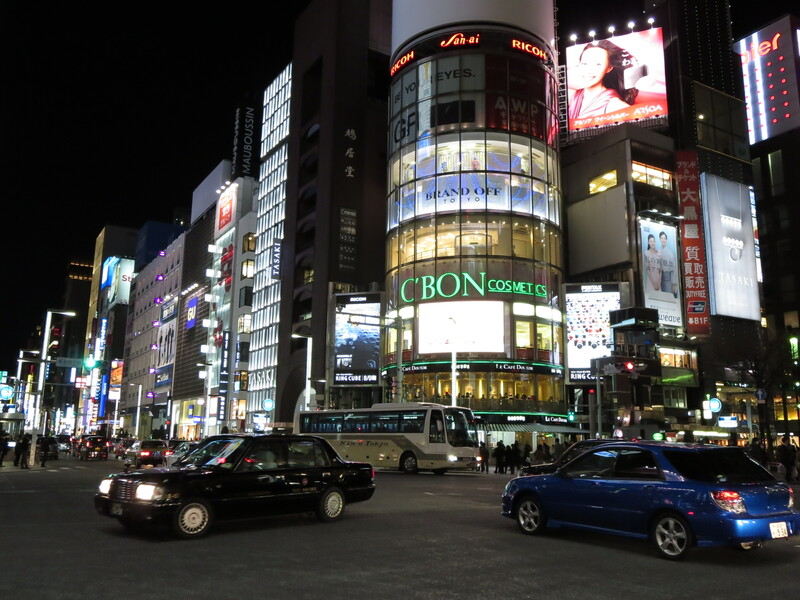 Categories: Travel | Tags: Ginza District, Ito-ya, Japan, Shopping, Tokyo, Uniqlo | Permalink.